Buying your first house can be a confusing proposition. On one hand you want to experience the American dream of owning your own home. But you also remember those purchases you ended up regretting like that $80 humidifier you never use or that car you bought only to find you really couldn’t afford it. According to the data gathered from Realtor.org, home buyers purchase a property not just because they want to own a house. It can also be caused by change in the family, jobs, etc. Regardless of your reason, one thing a rookie home buyer doesn’t want to do is regretting the fact you bought that first home. 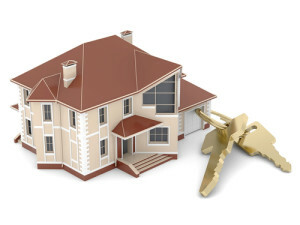 A good real estate agent can guide you through the home buying process. But there are rookie mistakes you need to avoid to make sure you don’t end up wishing you hadn’t bought a home and here are nine of them. Finding the right house can be a bewildering exercise. There may be hundreds of houses for sale where you live in different neighborhoods, at different prices and with different floor plans. You may have great research skills but trying to find a house by yourself is much like trying to diagnose your own disease. It’s smarter and easier if you get a real estate agent to do the searching for you. According to the same data from Realtor, 87% of buyers go through an agent. A good agent might even be able to find properties for you that aren’t yet on the market. And a good agent will be able to tell you about neighborhoods, the price per square foot in the various areas, the schools available and all the other information you need to winnow down your search to just a few houses. A second rookie mistake is to become too emotionally attached to a house. It’s the most expensive investment you will ever make and you need to stay calm and detached. As much as you love that house don’t get discouraged if you can’t get it your price because another one will come along – and probably fairly quickly. Have you ever played the game Monopoly? If so, you probably picked up a card at some time that said, “Do not pass go. Do not collect $200.” When it comes to buying a house the card should read “Do not use just the listing agent.” This is a real estate agent that was hired by the seller and represents him or her and not you. Regardless of what the agent might tell you, he or she can’t be totally objective about the house or its price. It’s much better to get your own realtor as that person will be committed to helping you find the right house at the right price and not the seller. If you’re a rookie home buyer you must have already saved up a down payment. According to a study done by Trulia.com, more than half of potential home buyers say that the biggest obstacle is the down payment. If you managed to save up for it, then congratulations! You’re much of the way there. But understand there are incidental expenses that can catch you unaware. For example, you will be required to pay closing costs that will probably be 2% to 5% of the home’s price. Plus, there will be property taxes. Once you’ve moved in you’ll be required to buy household essentials you never owned before such as appliances, garden supplies and tools. One financial planner recommends that you have at least two or three months worth of mortgage payments in reserve and three to six months of expenses saved up in an emergency fund. Don’t think of that as money you can use to buy furniture or remodel a room. It needs to be set aside for unexpected expenses such as a water heater that dies, a leaky roof or a balky furnace. You’ve done the math a number of times and you know exactly what it is you can afford. But that’s not enough. If you want the seller to take your offer seriously you need to get proof of income and your assets in the form of a preapproval letter from a lender. This will take just a few days. What it means is that the lender has reviewed your finances and is comfortable with the idea of loaning you a certain amount of money. If the housing market is tight where you live it’s absolutely critical to get a preapproval letter are you could easily lose the house to a couple that does have one. If you want to get a mortgage loan you will be required to get homeowner’s insurance. This can be especially pricey if your home is near the water or a fault line or if the house has a pool or if you’re in an area plagued by tornadoes. Price your homeowner’s insurance in advance and you’ll avoid getting hit with a nasty surprise when you sit down at closing. Here’s a fact you’re probably not aware of – about 42 million credit reports have errors. Of course, if there’s an error in your credit reports it might be just a misspelling of your street address or the name of a creditor, which wouldn’t have any effect on your credit score. But there are errors that would damage you badly such as showing that you made late payments when you didn’t or, worse yet, that that had an account listed as a default when it shouldn’t have been. It’s a really good idea to check your credit reports, at least, three months before you begin house hunting. That way, if you find errors you’ll have time to get the credit bureau to fix them. This is critical because your interest rate will depend on your credit score, which is determined by your credit reports. All homes need to be inspected even, believe it or not, brand-new ones. The sad fact is that some homebuyers become so emotionally attached to the house and want it so badly they fail to get it inspected. Hiring a good, experienced inspector is absolutely critical to determining if the house has problems. If so, you can then ask the seller to either get them fixed or lower the selling price. Just remember that a house’s beauty may be only skin-deep and that underneath that beautiful sink could be flooring that’s rotting out or that its roof might need to be replaced within the next year. You’ll be required to pay PMI if you can’t put at least 20% down. However, make sure that you let your lender know when you’ve paid down your mortgage so that you owe less than 80% of the house’s value. This is because at that point your lender should automatically cancel the PMI but don’t take it for granted that it will.